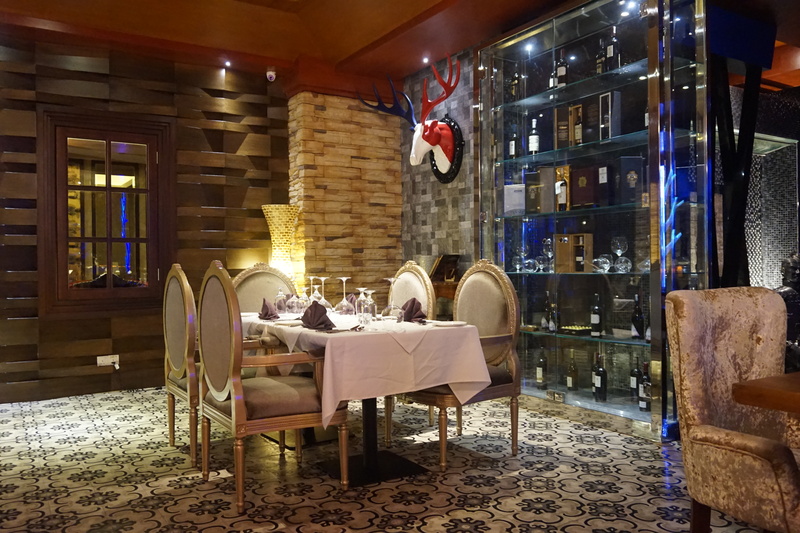 Chateau 33 located at basement of Prangin Mall is another new fine dining restaurant, nicely decorated restaurant gave a luxury feeling and the menu cover extensive list of wine. 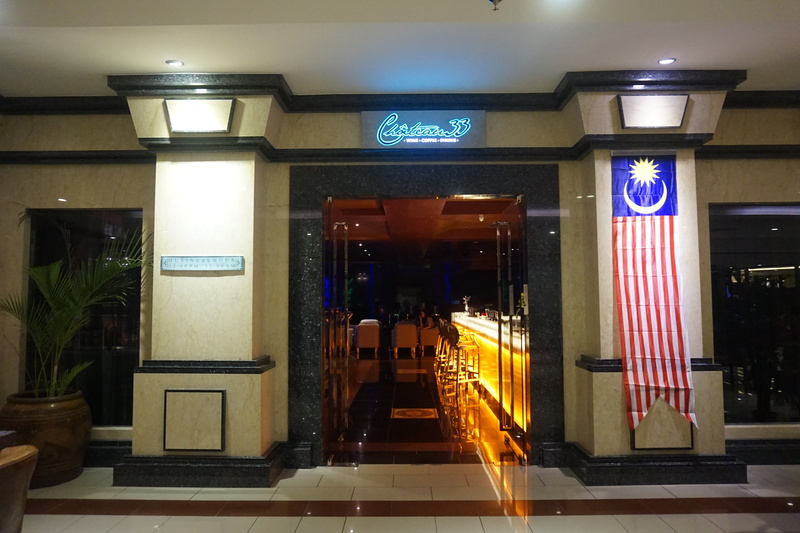 The restaurant look to be very normal from outside with two big pillar and small signboard, the wow factor kick in immediately after we step into the restaurant. 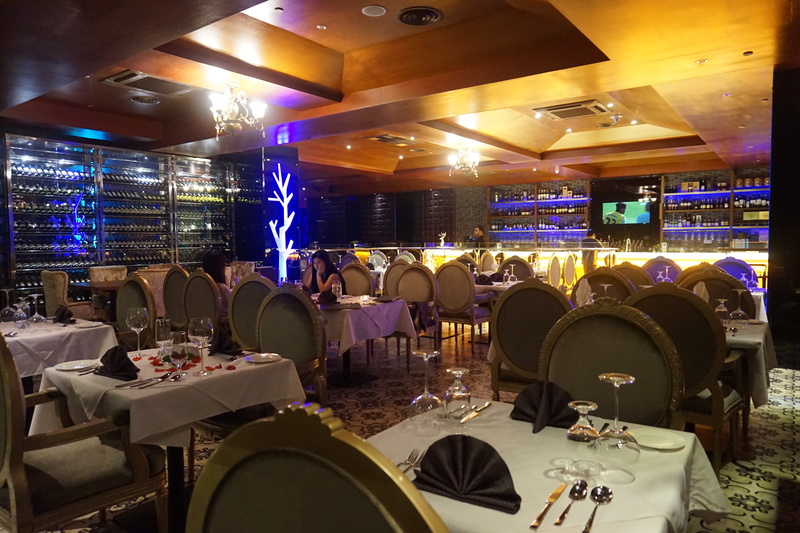 High ceiling with wall decor that really impressive, seating area are surrounded with statue and wine. That is what drive HH and Jinni crazy, they just can’t resist and order a bottle of wine. 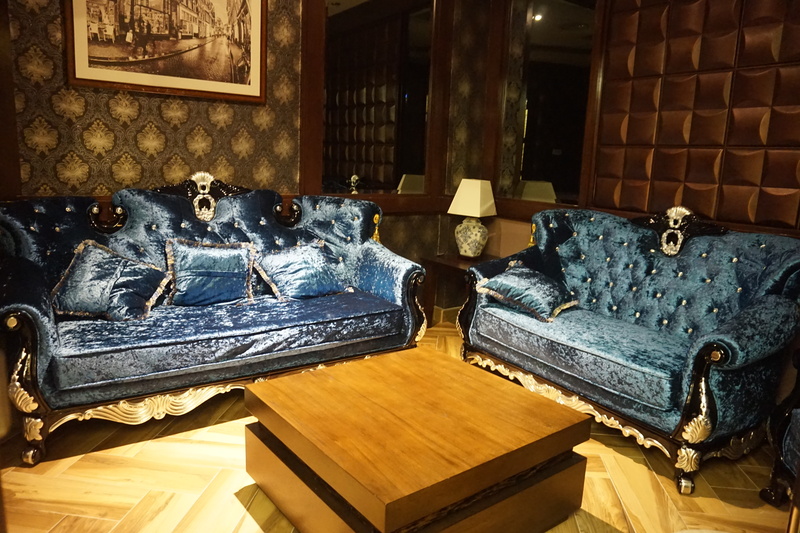 Other than public seating area, there is a couple VIP room that is nicely fit up with wallpaper and sofa. 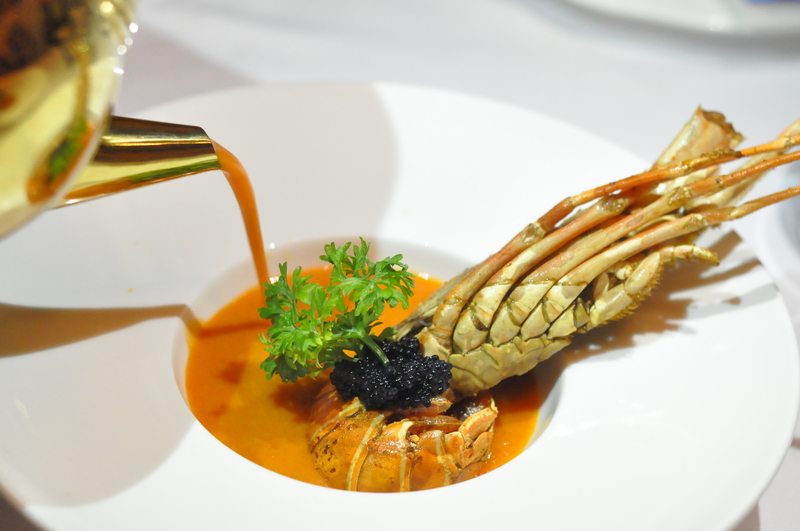 Lobster Bisque Soup RM38, half slice lobster baked and served with lobster bisque soup. 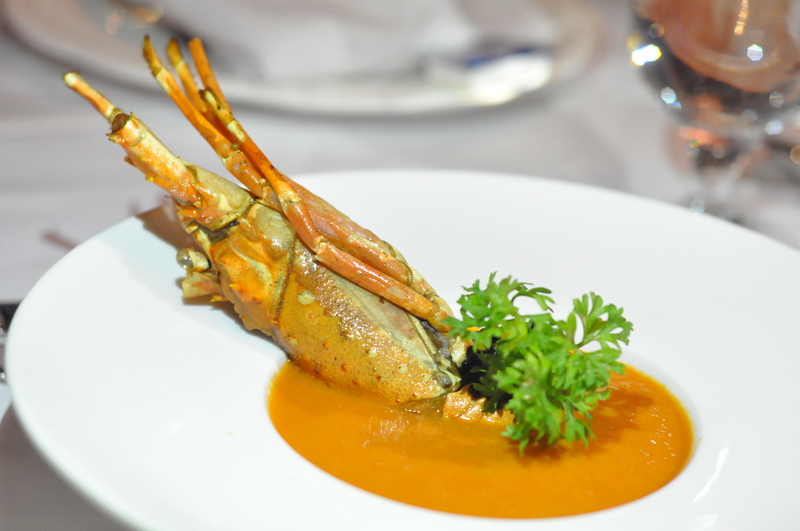 Soup taste sweet with strong seafood sauteed flavor, not too creamy instead it is very smooth and flavorful. 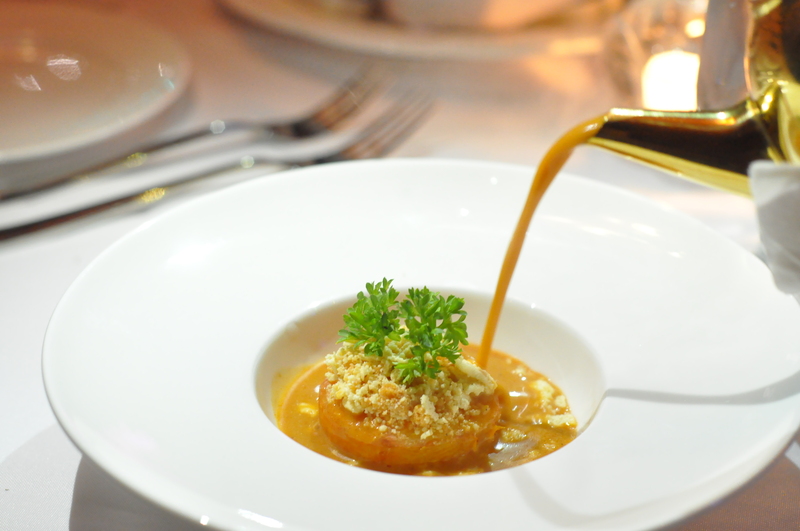 Cream Tomato Soup RM28, thicken tomato soup that is smooth and flavorful, it has strong acidity taste with tomato fragrance. 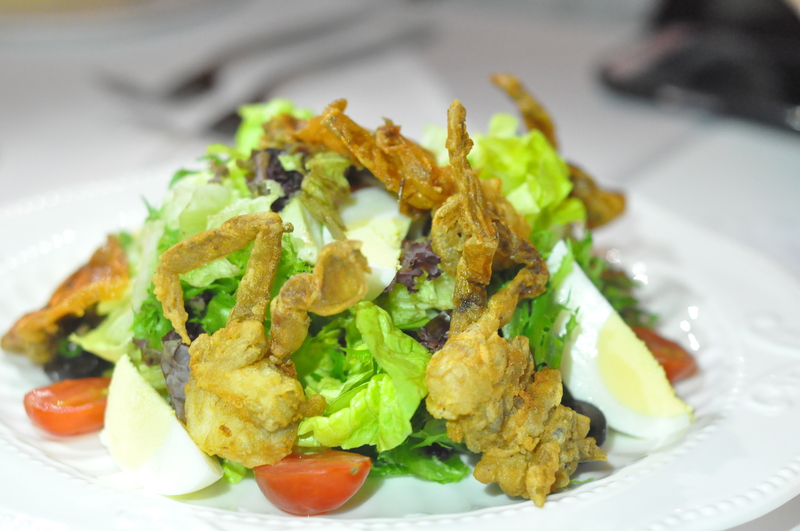 Soft Shell Crab Salad RM35, fresh crunchy vegetable served with egg, tomato and soft shell crab. Soft Shell Crab are deep fried to crispy texture and eating together with fresh vegetable is just awesome, especially with the present of sesame dressing that boost it flavor even more. 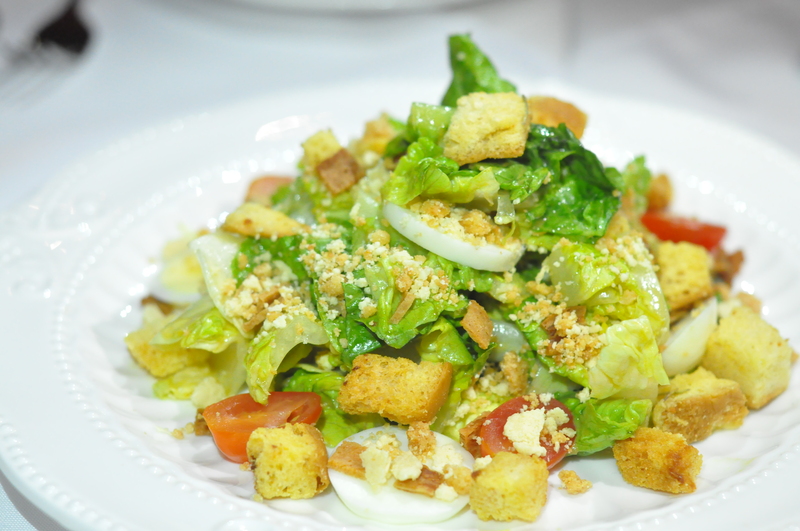 Caesar Salad RM30, lettuce, tomato, egg with crouton mixed salad. 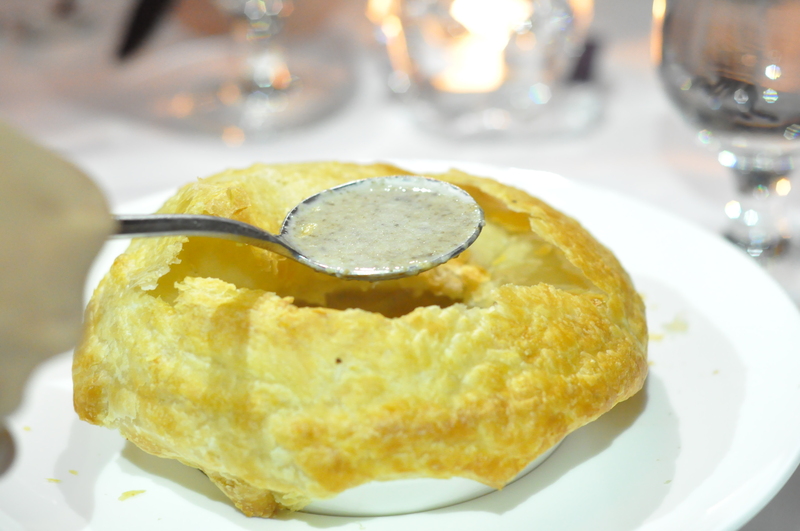 Mushroom Pie Soup RM30, instead of typical mushroom soup served in bowl they served it with a cover that made from pie crust and fill inside with mushroom soup. 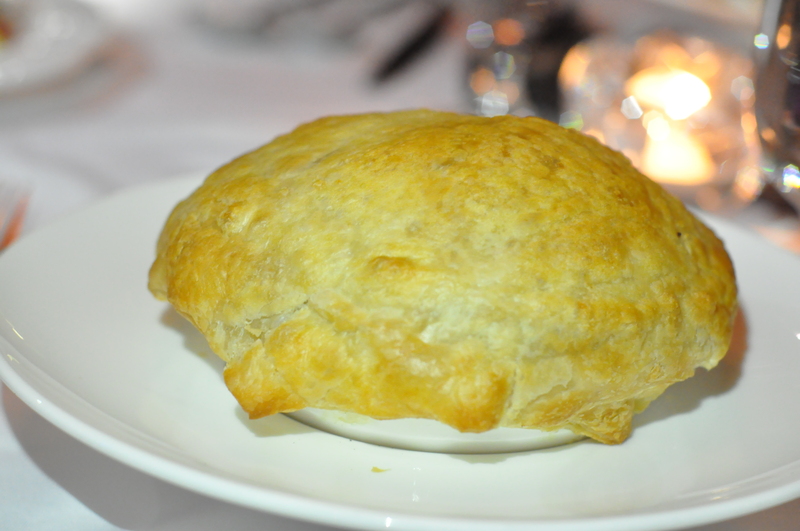 Extremely thin pie crust can be easily broken down and immediately steamed hot mushroom soup flavor flushing out, very strong mushroom fragrance. I really enjoy the thick flavor mushroom soup. 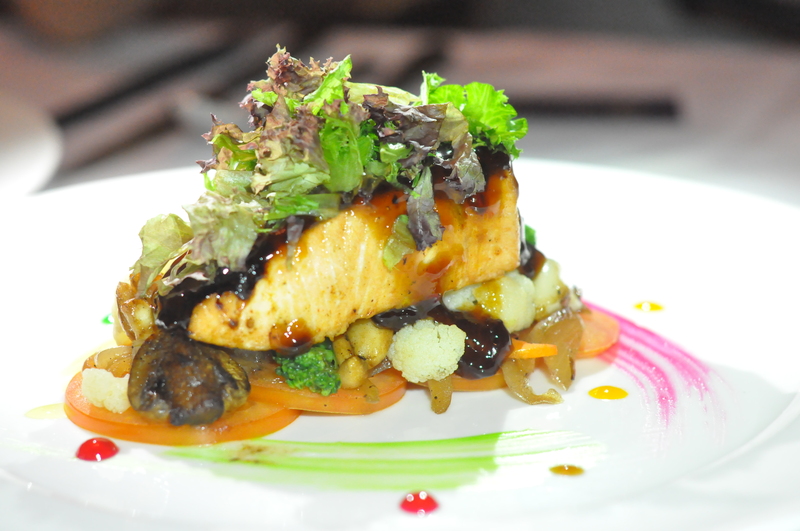 Teriyaki Salmon RM45, pan fried thick cut salmon to crispy skin, top with teriyaki sauce and served with assorted vegetable. Chili Bean Paste Fried Rice RM30, instead of typical fried rice they created moist fried rice with home made chili sauce and served with grilled chicken. 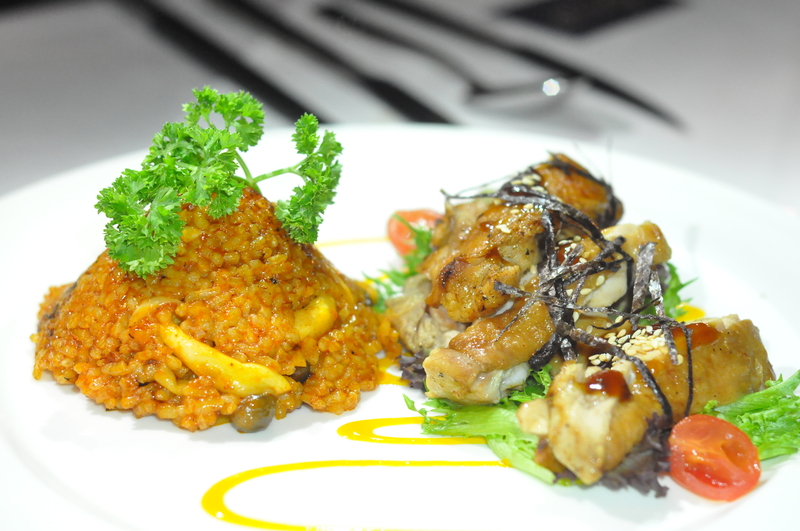 Grilled chicken are marinated with lemongrass and season with sweet sauce. 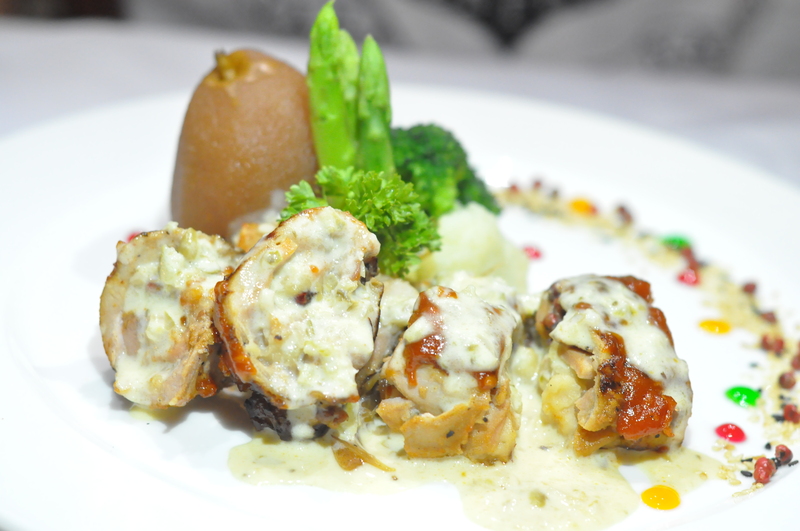 Pan Seared Chicken Roulade RM48, pan fried chicken top with Capers Cream Sauce, side dishes included are asparagus, broccoli and steamed cinnamon snow pear. 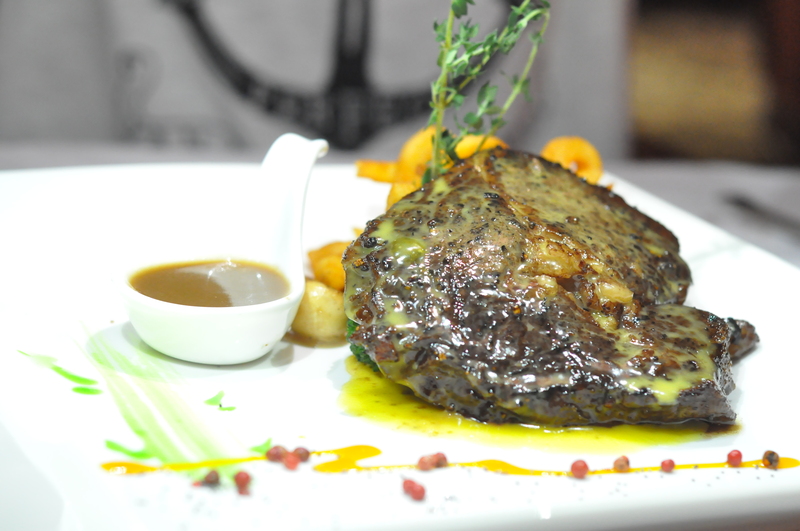 Rib Eye Steak RM45, thick cut rib eye grilled to perfection served with curly fries. 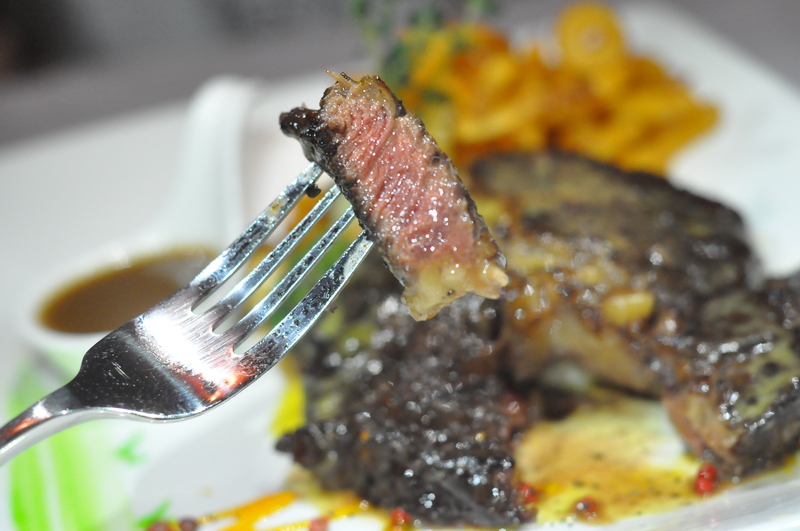 Although it look to be overcook from outside due to the black char skin but inside it is perfectly done to medium well and it is so juicy. Crispy Salted Lamb Rack RM98, three big lamb rack marinated and pan fried to perfection, it is one of the best dish we had throughout the night. 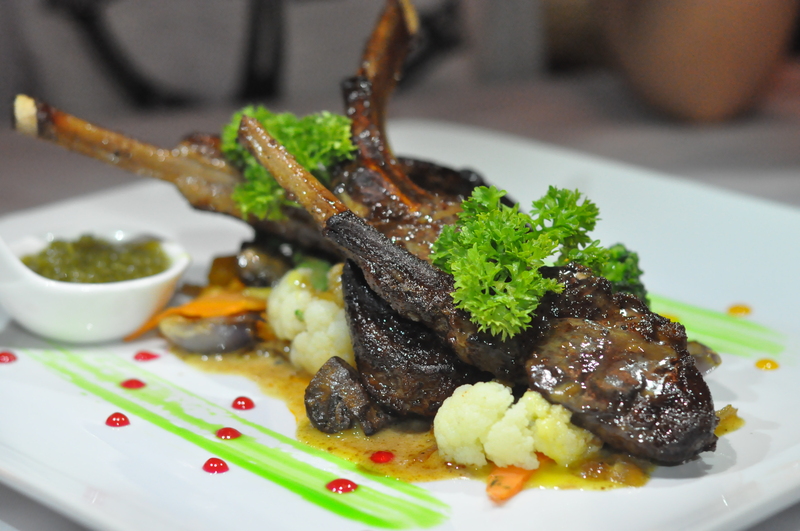 Lamb rack is nicely seal and pan fried to crispy texture while inside still juicy, dipping with sauce provided is just awesome. Noodle with Shrimp Broth RM33, look like typical mee jawa isn’t it? 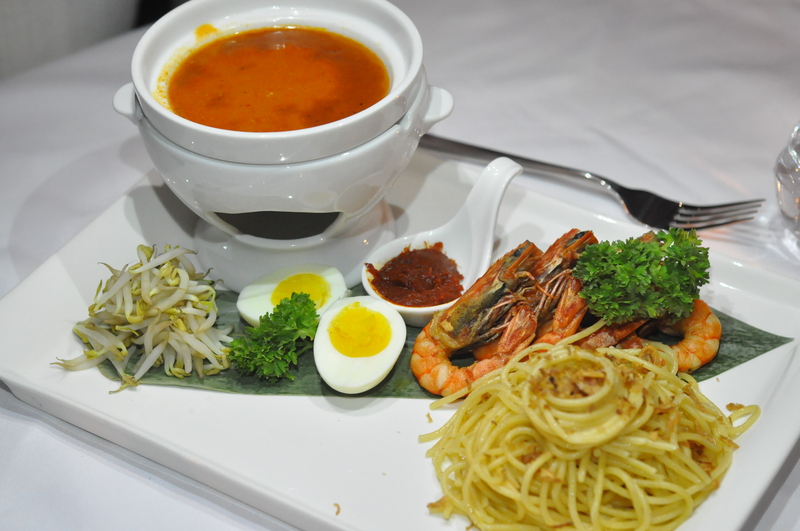 Not really, the soup has very strong prawn flavor in it which make it taste very close to thicken Hokkien Mee soup while the noodle are Linguini instead of yellow noodle. Adding on with the Chili paste help to increase it flavor. 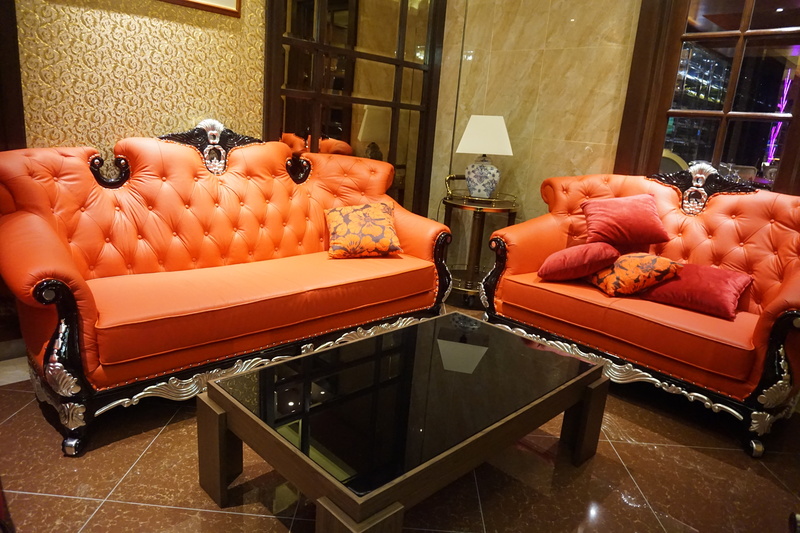 33-SB-01, Prangin Mall, Jalan Dr Lim Chwee Leong, 10100 George Town, Penang.